California’s SCAQMD as a Clean Air Solvent. 1SC-1000™ is on the USEPA NCP Product Schedule under Surface Washing Agents. This listing does not mean that EPA approves, recommends, licenses, certifies or authorizes the use of SC-1000 on an oil discharge. The listing means only that data has been submitted to EPA as required by Subpart J of the NCP § 300.915. SafeCare SC-2000 All-Purpose Cleaner is a ready-to-use non-ionic surfactant cleaner that will release hydrocarbon soils including fats, greases, oils, and sugars without reacting with the cleaning surface. 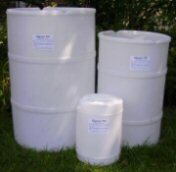 SC-2000 All-Purpose may be use on all “water-safe” surfaces. Removes oil, grease and adhesives from concrete surfaces and automobile parts. An all-in-one cleaner/degreaser concentrate. It has a high pH with FREE alkalinity. Use it for degreasing, protein removal, or fat/lipid removal. AllerSafe products neutralize protein allergens created by dust mite droppings, dog dander and cat saliva without toxic or hazardous chemicals. Cleans all types of water-based inks, including discharge inks, and works as a screen opener while still on the press. Virtually no odor, 100 percent biodegradable, drain safe and no caustics. A solvent that is made from 100% American-grown soybeans and no chemicals. It easily removes grease, oil, asphalt, paint and tar and is great for washing parts and engine degreasing. AllerSafe All-purpose cleaner can be used on a variety of surfaces. AllerSafe carpet and upholstery shampoo is used for extraction cleaning or machine washing. Does not contain any fragrances or colors. 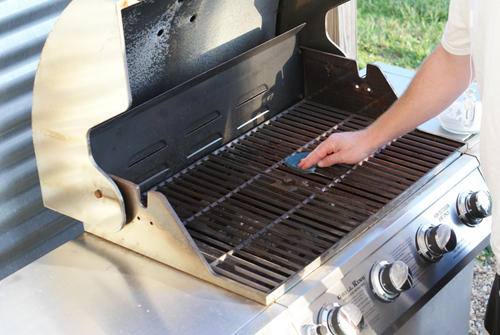 AllerSafe neutralizes protein allergens and may be applied to all surfaces that are washable. AllerSafe hand dishwashing liquid fights grease without any fragrances or extra chemicals. Pour into manure pits to create a seal between the manure and air. Hydrogen sulfide emissions are reduced by up to 75 percent. Reduces ammonia emissions by up to 40 percent. Deodorizes, cleans and removes lime scale, soap scum, and body oil deposits. An extremely effective parts cleaner for any shop. Meets all regulations for VOC’s and Vapor Pressures. With a flash point of over 400 degrees f. is can be used hot or cold safely. Can be used to replace petroleum solvents for cleaning parts and equipment. This safe, nonflammable product contains no Volatile Organic Compounds (VOCs), and has been formulated with anti-oxidants and corrosion inhibitors for improved stability. A safe, nonflammable product that contains no hazardous Volatile Organic Compounds (VOCs).Excellent electrical insulating value. May be used as a straight solution or may be solubilized with water before use. A water-rinsable, industrial strength degreaser designed to be used in concentrated form. Formulated with new soybean oil technology and boosted with d-limonene, this degreaser tackles the toughest tasks. Biobased, biodegradable degreaser/cleaner that is a safe improvement over petroleum solvents. May be used to clean and polish any hard surface not harmed by water such as: window glass, panes and sills; mirrors, countertops, chrome, automobile glass, fluorescent lights and tubing, and any other glass or mirror finish. Product line replaces toxic chemicals with environmentally-safe soybean oil. The first soy based product FranMar formulated, BEAN-e-doo®, replaced the use of mineral spirits, xylene, toluene, even gasoline, in screen printing cleaning operations. As all screen printers will tell you, it was an amazing innovation. An environmentally friendly all-purpose cleaner that is versatile and can be used on a variety of hard surfaces. It cleans oil, grease, dirt and grime from asphalt, concrete, metal and painted walls. Rinses clean and does not leave a residue. An industrial parts washing solution that cleans tough oils, greases, carbons and inks. Available in three different solutions: general cleaning parts washer, rust-inhibitor parts washer or a ruse-removal parts washer. Formerly knows as BEAN-e-doo Parts Washer, it can safely be used hot or cold; is recyclable and easily disposed. The soy formula meets VOC and vapor pressure regulations. Concentrated paste that lasts longer and takes less time to clean than ordinary liquid or aerosol cleaners. Non-corrosive, non-flammable and has no offensive odors or rust. All purpose solvent for replacement of CFCs. Penetrates rapidly. Controlled evaporation. Use as a solvent spotter for carpets, industrial wipe, vapor degreaser, parts wash, or wherever very hazardous solvents must be replaced. 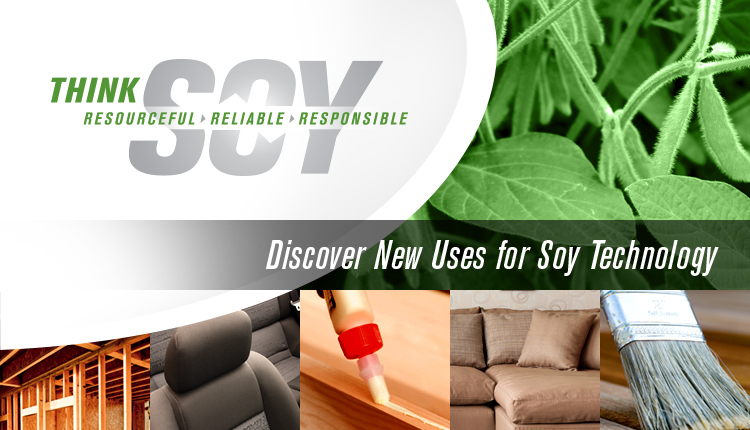 Soy solvent ingredients are safe for the environment yet effective at removing most paints. Liquid concentrate cleaner and degreaser. Biodegradable, pH 7-8 in concentrated form. Rinses film-free. Less than 50g/L volatile organic compounds in dilution as tested by California South Coast Air Quality Management District. A ready-to-use, citrus cleaner and degreaser. It quickly dissolves grease, grime, oil, wax, dirt, ink, resin, carbon soot, and soap scum. A multi-purpose cleaning solvent made with soybean oil extract to make it a much safer and natural alternative. Non-flammable, non-combustible and gentle to skin. It dissolves gum, wax, paint, adhesives, tar and more. Cleans as efficiently as chemicals such as methylene chloride without environmental or safety hazards. An organic degreaser combining the power of citrus with the safety of soy for rapid grease cutting. Complies with V.O.C. guidelines. The safest alternative to using chlorinated solvents for degreasing metal surfaces. 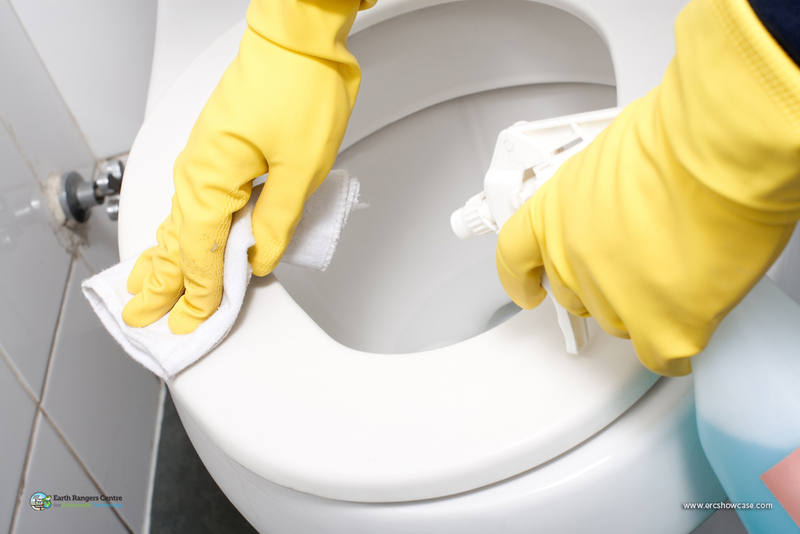 Heavy flushing action quickly dissolves and removes grease, grime, and oil. High pressure spray penetrates, loosens and lifts contaminants away. Parts can air dry leaving negligible residue, or be rinsed with water. A vegetable oil-based cleaner/degreaser designed for multi-purpose uses. It can be applied by dipping, spraying and brushing. A full strength, industrial grade surface cleaner and degreaser. Dilutable with water up to 1:1, can be used in both industrial and commercial applications. Specially designed for environmental and safety characteristics, the heavy duty cleaner has a nearly neutral pH so no special safety equipment is required during use. Replaces highly volatile products such as petrochemical-based products, mineral spirits, D’Limonene and Naptha. It is a high- performance industrial cleaner/degreaser that is biobased, non-flammable, non-toxic and is very low in VOC. A safe and effective solution for; automotive, aircraft, agricultural, marine cleaning and general degreasing operations. May be used to prepare substrate surfaces for painting, sealing, or application of other coating finishes. Foam hand cleaner gently and effectively removes light to medium soils from hard working hands. The foaming action cleans better than a general restroom soap but is not as aggressive as a heavy duty gritted formula. Cleaning is powered by soy, a renewable, natural resource. The grit-free foam formula with an invigorating fresh scent leaves skin feeling clean and refreshed. Industrial strength concentrate formulated to remove common soils, grease, oil, dirt, wax, gum, dye, inks, carbon, smoke and exhaust stains. Safe for use on metal, plastic, rubber, porcelain, concrete and wood surfaces. Emulsified oil products that are engineered to optimize subsurface conditions that promote anaerobic bioremediation. EOS technologies are suitable for remediating chlorinated solvents, perchlorate, energetics and oxidized metals. solvent where dwell time and continuous reusability are important. A highly concentrated liquid formulated to clean washable, non-porous hard surfaces by dissolving and/or emulsifying the soils. harmful caustics, which cause damage to grout and the floor finish. Non-toxic, non-carcinogenic, biodegradable glycerin bars are made of an SC-1000 soy-based aqueous non-ionic surfactant system that is used in a variety of industrial applications. It has an INCI listing for facial cleaning. Removes tough soils like petroleum, asphalt, tar, latex paint, inks, grass, blood and wine without harsh detergents or oxidizers, leaving skin smooth and fully hydrated. Replaces mineral spirits in solvent-type parts washers. Cleans heavy grease, oils, dirt, carbon and some coatings. Glysol SA semi-aqueous formula cleans solvent- and water-soluble soils and rinses cleanly with plain water. Formulated to chemically remove pencil, pen, asphalt, and other soils from non-porous surfaces. This product is safe for the user and for the environment. It is biodegradable and non-toxic. May also be used in parts washers as a heavy duty degreaser/cleaner. Removes all colors of spray paint, permanent markers, inks and lipstick from almost any surface. A ready-to-use biobased product that is naturally derived from agricultural ingredients such as soy. 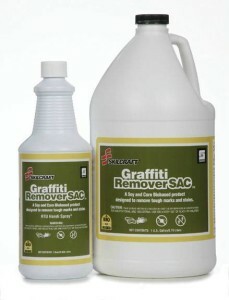 It removes any graffiti off of most surfaces. Formulated to aid in the quick removal of unsightly graffiti. It is a highly-alkali gel which may be applied to vertical surfaces to loosen any graffiti. Graffiti-B-Gone Gel is methylene chloride free. AllerSafe AS-Liquid Hand Cleaner: Safely removes organic soils including the toughest automotive lubricants, without caustics or toxic solvents. Will not irritate skin and does not contain dy es or fragrances. An alkaline, water-dilutable, heavy duty green cleaner/degreaser. Contains natural solvents, wetting agents, and alkaline detergents. Removes automotive, industrial and kitchen soils/oils instantly. Works in both hot and cold water. Replaces toxic, Butyl-based cleaners. Inhibits corrosion to metal and has multiple uses. A cleaner that can be used in automatic floor cleaners or with manual mopping. Hero cleans with plant power while alleviating disposal problems. It has a Readily Disposal rating and is municipal sewer system friendly. Waterless hand cleaner. It is gentle on skin, but tough enough to cut through grease, oil, and other materials. A biobased cleaner that works quickly and effectively. 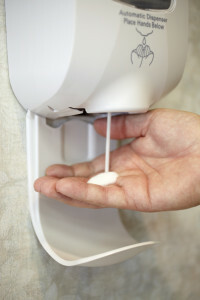 It easily removes adhesive build-up and cleans up with water. Soy-based press and blanket wash. 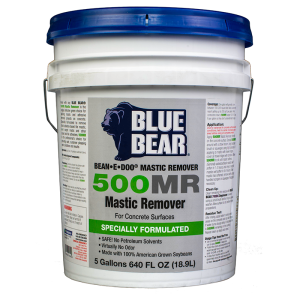 Designed for use on almost every mastic removal job. With almost no odor, our MA-99 Soy-Pro can be used in occupied buildings, and it has a flash point over 400 degrees! MA-99 Soy-Pro works quickly to remove mastic found under vinyl asbestos tile (VAT), vinyl composite tile (VCT), ceramic tile, and even on the really tough yellow or tan mastics used to glue down carpet. Methyl Soyate, or soy methyl ester, is produced from reacting soybean oil and methanol. Due to it being derived from a renewable oil, Methyl Soyate is also renewable and completely biodegradable. Methyl Soyate is also low in toxicity for both handling purposes and within the environment. The product is also low in VOC compare to other products within paints, coatings, and cleaning solvents. Formulated to remove medium to heavy soils with mechanical cleaning equipment, high/low pressure spray, or manual cleaning. 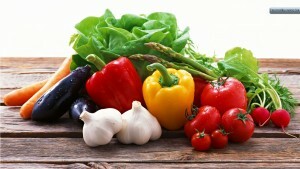 It is USDA approved Category A-1. Use it in high pressure washers, soaking baths, low pressure spray, spot degreasing, steam cleaning, ultrasonic tanks, parts washing, or floor scrubbing. It dissolves oil, dirt, grease, and organic compounds. It is safe to use on all your washable surfaces including metals, glass, vinyl, plastic, sealed concrete, and ceramic tile. 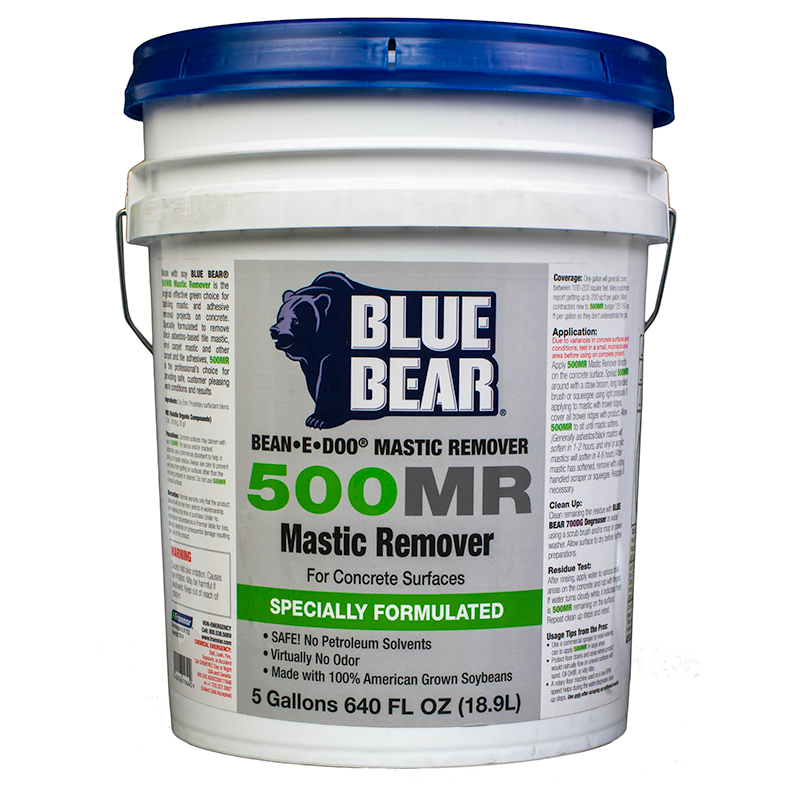 Eliminates or greatly reduces buildup from truck beds and equipment. Can be used on a variety of surfaces such as floors, walls and windows and saves energy because it works well in cold water. Never needs rinsing and does not leave film. A heavy-duty degreaser and cleaner that contains a balance of natural solvents, wetting agents and alkaline detergents. It removes automotive, industrial and kitchen soils/oils instantly and works in both cold and hot water. A laundry detergent and pre-spotter that cleans, softens, brightens, whitens and deodorizes and removes stains. It is non-caustic to extend fabric life. Instantly removes chewing gum, tar, grease, make-up, candle wax and adhesives from most surfaces. It can be used on clothes, furniture, carpet, and concrete. A very high sudsing detergent for washing cars and other vehicles. It works with cold water and is easy on your hands. It rinses free of residue. A non-toxic oven cleaner that is non-fuming, making it more pleasant to work with than traditional oven cleaners. Non-hazardous, biodegradable and non-toxic so it’s gentle on the skin. 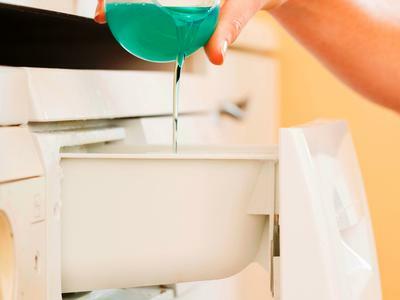 Less expensive than other laundry detergents because a small amount goes farther. A very high sudsing naturally derived detergent for cleaning dishes, pots, pans and fine washables. Great cleaning action even in cold greasy water and gentle on the skin. Cleans shower walls and doors, sinks, ceramic tile, fiberglass, vinyl, porcelain and stainless steel. It deodorizes as it cleans and is acid free. Cleans, descales and makes porcelain fixtures sparkle and is also pleasant smelling and non-toxic. An excellent, economical all-purpose cleaner. It is true neutral pH: 7.0000 pH. Use it on metals, glass, plastics, and composites. It is safe for all non-porous washable surfaces. Neutral Cleaner can be used in manual cleaning or in high/low pressure mechanical washing. An alternative to solvent-based cleaning formulations for mastic removal and as a general industrial cleaner for grease, adhesives and tars or asphalt. Essentially odor-free, with a flashpoint greater than 300 degrees Fahrenheit. Paint, Oil, and Gum Solvent. A non-harsh cleaner that safely dissolves paint, oil and gum. Industrial cleaner that is water-rinsable. For parts cleaning, degreasing, graffiti removal and concrete floor cleaning. Also used as a penetrant and rust preventative. Readily biodegradable. An industrial-strength polyurethane adhesive remover made with 100 percent American-grown soybeans. Use on pre-engineered wood floors, UV finished wood floors or concrete substrates. Works without harsh odors and is nontoxic, nonhazardous, 100 percent biodegradable and safe to use indoors. Gel formula makes it easy to apply. It easily cleans up with water. No neutralizing is needed. Presolv Ink Remover provides an alternative for environmentally responsible companies who appreciate and understand the need to use non-toxic sustainable products. Presolve relies on renewable plant-based chemistries that are safe to use, store and dispose of and comply with all applicable, OSHA, SARA, SNAP, USEPA and USDA regulations for safety. A safe alternative to hazardous petroleum-based degreasers or harsh alkaline cleaners. Combines d-Limonene and soy to dissolve the heaviest grease deposits. Ideal for use on Concrete, Masonry, Machinery, Motors, Equipment, Metal Parts, Parts Washers, Fabric, Rugs and Upholstery. Fast acting, water-based, petroleum-free cleaner with a high flashpoint and low VOC. EPA registration is not required. Removes cutting fluids, petroleum residue, road tar, graffiti, chewing gum and more. A line of powerful industrial cleaners and solvents designed to care for and extend the life of equipment and tools. These readily biodegradable products reduce cleanup costs, increase worker safety and limit your exposure to regulatory fines. A Mil C 87937D, TYPE IV QPL-listed bio-based surface release agent for wash rack and spot cleaning of military and commercial aircraft. 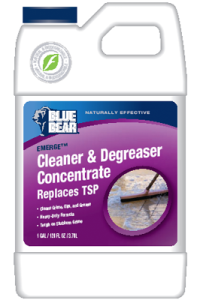 Offers the cleaning performance and safety of a soy based degreaser with the cost effectiveness of a water based cleaner. It can be used on all types of surfaces. 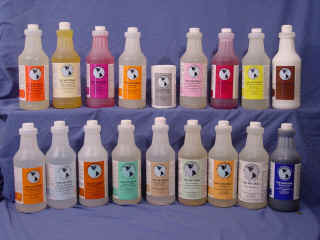 Degreases and polishes stainless steel and other hard surfaces. Soy-based industrial strength hand cleaner. A non-toxic concentrated floor cleaner made with corn, soybeans and oranges. 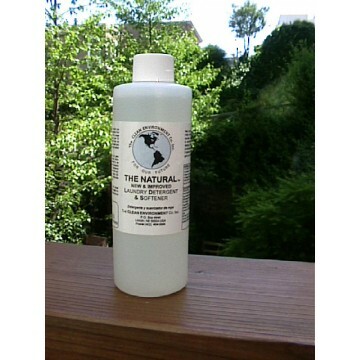 A non-toxic, multi-purpose cleaner used on a variety of surfaces including kitchen counters. A cleaner that effectively shines, cleans and protects many surfaces without scratching and without toxic chemicals. It’s safe for linoleum, porcelain, chrome, stovetops, sinks, countertops, tub-n-tile, grout and more. A toilet cleaner made from soybean oil extract, natural volcanic perlite and grapefruit seed extract. It is natural, non-toxic and gentle. A line of soy-based biodegradable, all-in-one industrial degreasers and floor cleaning solutions. The degreaser was originally produced for the tire manufacturing industry because of its heavy degreasing power. SoyBase Clean also acts as a rust preventative and can be used as a lubricant for machinery to add service life. SoyBase Clean contains a sealing agent that coats floor surfaces, leaving a satin shine and added surface durability. SoyComplete Green All-Purpose Cleanser is actually millions of soy bean nano-particles engineered to break down dirt with a moving force all on its own. Think “scrubbing bubbles” without the harsh chemicals! SoyComplete is completely all-natural, non-toxic and biodegradable so you can clean without the worry of hazardous chemicals and fumes common with most conventional cleansers. SoyComplete Green All-Purpose Cleanser is so effective that where there is dirt (other than on glass or wood), you can count on SoyComplete to clean it up. SoyFastTM Concentrate Degreaser replaces highly volatile products such as; terpenes, petrochemical based products, including mineral spirits, D’Limonene and Naptha. It is a high performance industrial cleaner/degreaser that is bio based, non-flammable, non-toxic and is very low in VOC. A safe and effective solution for; automotive, aircraft, agricultural, marine cleaning and general degreasing operations. Use SoyFast to prepare substrate surfaces for staining, painting, sealing, or application of other coating finishes. 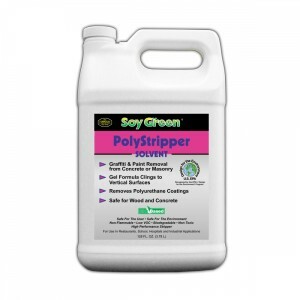 The advanced soy formulation easily removes grease, oils, carbon, lipstick, dirt and grime. SoyFast may be used ready to use or diluted with water depending on the application. Dilution ratio is up to 1:30. It is safe for use on concrete, aluminum, finished and unfinished wood, painted surfaces, vinyl flooring, grill hoods, automotive and fleet finishes, upholstery, and carpet. An all-purpose cleaner formulated to be “ready-to-use.” It is soy-based, non-toxic and biodegradable, and has incredible grease cutting power. SoyFastTM Concentrate Carpet and Upholstery Cleaner replaces highly volatile products such as; terpenes, petrochemical based products, including mineral spirits, D’Limonene and Naptha. It is a high performance industrial cleaner/degreaser that is bio based, non-flammable, non-toxic and is very low in VOC. A safe and effective solution for; automotive, aircraft, agricultural, marine cleaning and general degreasing operations. Use SoyFast to prepare substrate surfaces for staining, painting, sealing, or application of other coating finishes. Removes 99% of bacteria naturally – cleaning away wax, chemicals and dirt from produce. 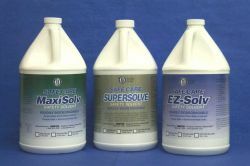 Products use powerful soy esters to replace butyls, d-limonene, and even caustics for degreasing and hard surface care. Environmentally safe. SG1000 is designed for metal cleaning and polishing; SG5000 is the same chemistry but more aggressive, for paint removal, ink cleanup, mastic removal; SG6000 is a thickened version of SG5000, for vertical applications. A dishwashing liquid made of soy fatty acid that attacks and dislodges grease and food particles the minute it hits the surface. Provides the extraordinary bacterial fighting power of soy while it naturally moisturizes hands. Made from 100% soybean oil, tested and proven to be a safe, effective and powerful product for use in many applications including as a lubricating cleaner, asphalt release, grease and oil cleanup, for mastic and adhesive removal, tar and asphalt removal, rubber compound cleaning and welding clean-up. Removes heavy greases and oils, cleans silk screening equipment and tools and paints and adhesives. Acts as a protective film for metal rust prevention. A unique soy-based solvent blend that quickly penetrates and loosens a variety of industrial soils. Formulated to replace many common terpene and petrochemical based products. A 100% sustainable and natural product made with soy. It polishes and protects stainless steel and metal surfaces. No streaks or oily residue. A soy-based solvent blend that penetrates and loosens tough soils. Disposable wipes containing Mr. Good Chem Graffiti Remover. Patented industrial solvent based on a blend of methyl soyate and corn ethyl lactate. An all-purpose biobased cleaner for vehicle wash/maintenance, manufacturing, shop cleaning, food processing, janitorial, and more.